Add diamondback moth larvae to your early season scouting list. 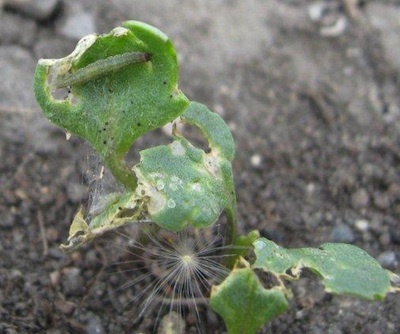 Growers cannot expect insecticide seed treatment to protect canola from diamondback moth larvae, so spraying may be necessary in some fields or parts of fields. 2. Diamondback larvae are still present. 4. Newest leaves are being eaten. If the newest leaves are in good shape, the crop will probably grow through the threat.